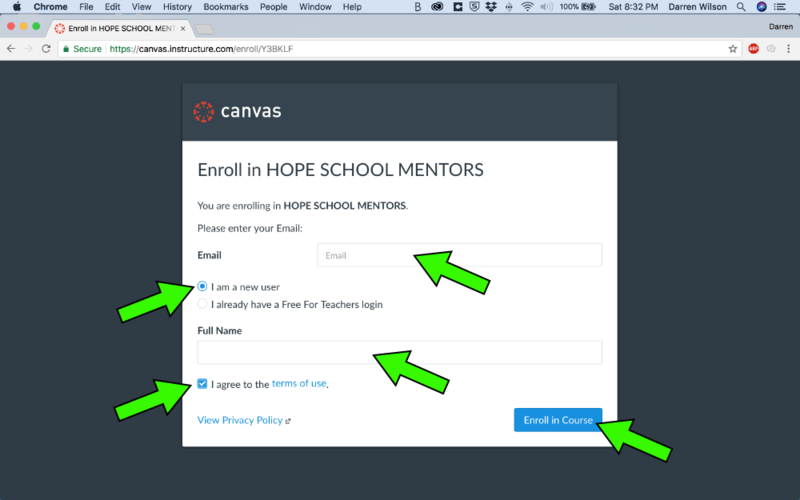 Click on the ENROLL link that was sent to you via email to enroll in the Canvas course to begin the enrollment process..
2. Check the I AM A NEW USER option. 3. Type in your first and last names. 4. Check the I AGREE check box. 5. Click on the ENROLL IN COURSE button. 6. You have successfully enrolled in the course. ​7. Click on the GO TO THE COURSE button. 8. Click on the ACCOUNT icon on the left-side menu. 9. Click on the SETTINGS button. 10. 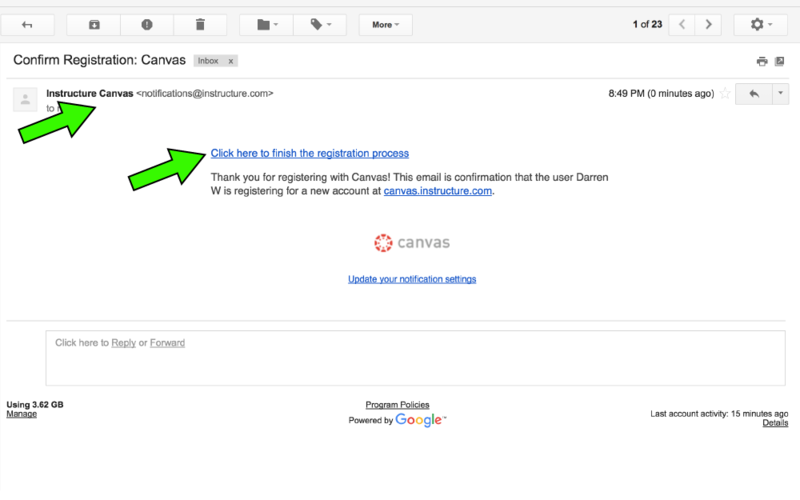 The message tells you to check your email inbox to verify your new Canvas account. 11. 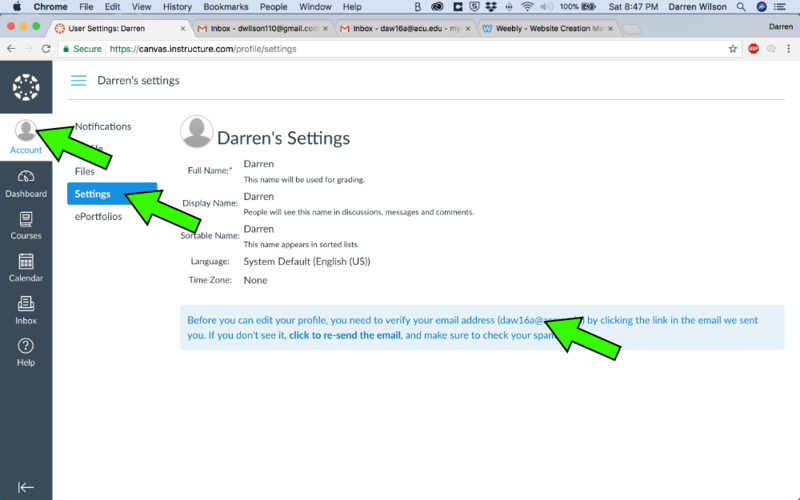 In your regular email inbox, look for a new email that was sent from INSTRUCTURE CANVAS. 12. In the email message, click on the link to finish the registration process. When you click on the link, it will take you back to the Canvas course. 13. 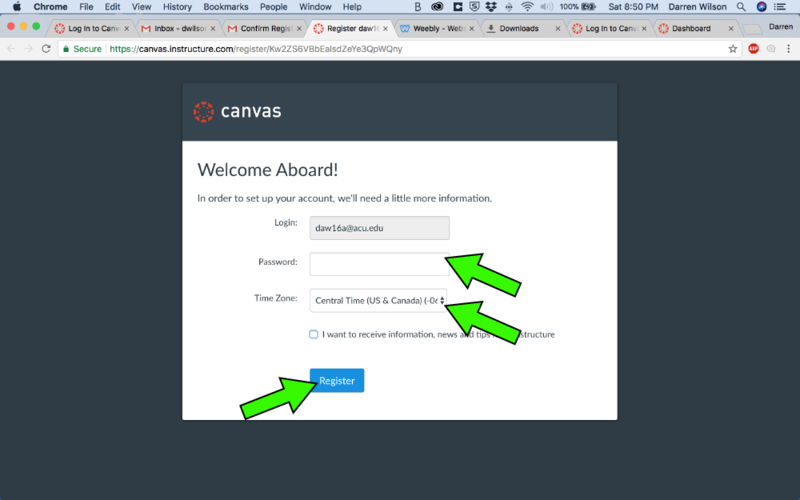 Type in a password you want to use for your new Canvas account. 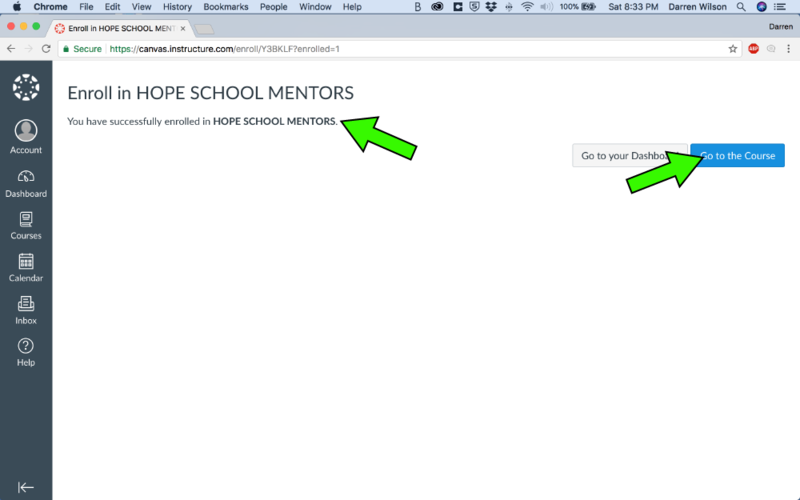 You will use that password for all future courses associated with HOPE School of Leadership. 14. Choose your Time Zone. 15. Click on the REGISTER button to complete the process. CONGRATULATIONS! You have enrolled in your first Canvas course and registered your new CANVAS account.